Illuminate the world around you by reading our amazing light facts with fun information about the visible spectrum, sunlight, ultraviolet light, infrared light and electromagnetic radiation. In physics, light refers to electromagnetic radiation. 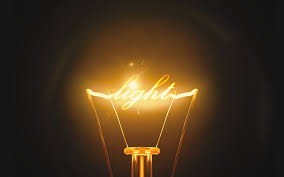 The light we normally talk about in everyday life refers to the visible spectrum (the part of the electromagnetic spectrum that the human eye can see). UV light can be used to show things the human eye can’t see, coming in handy for forensic scientists. The wavelength of infrared light is too long to be visible to the human eye. Isaac Newton observed that a thin beam of sunlight hitting a glass prism on an angle creates a band of visible colors that includes red, orange, yellow, green, blue, indigo and violet (ROYGBIV). This occurred because different colors travel through glass (and other mediums) at different speeds, causing them to refract at different angles and separate from each other. Light travels very, very fast. The speed of light in a vacuum (an area empty of matter) is around 186,000 miles per second (300,000 kilometres per second). Light travels slower through different mediums such as glass, water and air. These mediums are given a refractive index to describe by how much they slow the movement of light. Glass has a refractive index of 1.5, meaning that lights travels through it at around 124,000 miles per second (200,000 kilometres per second). The refractive index of water is 1.3 while the refractive index of air is 1.0003, meaning that air only slightly slows down light. Sunlight can reach a depth of around 80 metres (262 feet) in the ocean. One of the many things Italian scientist Galileo Galilei worked on was telescopes, producing telescopes with around 30x magnification in some of his later work. These telescopes helped him discover the four largest moons orbiting Jupiter (later named the Galilean satellites). Photosynthesis is a process that involves plants using energy from sunlight to convert carbon dioxide into food. Light travels much more quickly than sound. The speed of light is about 300,000 km per second. The speed of light is generally rounded down to 186,000 miles per second. In exact terms it is 299,792,458 m/s (metres per second – that is equal to 186, 287.49 miles per second). It takes 8 minutes 17 seconds for light to travel from the Sun’s surface to the Earth. The currently accepted value is 299 792 km/s based on several measurements. Red, green and blue are the primary colours of light. Mixing them in various ways will make all other colours, including white. When sunlight is intercepted by a drop of water in the atmosphere, some of the light refracts into the drop, reflects from the drop’s inner surface, and then refracts out of the drop. The first refraction separates the sunlight into its component colours, and the second refraction increases the separation. The result is a rainbow. There are different colours of light because they are light waves which have different wavelengths. Red light has the longest wavelength while violet light has the shortest wavelength. The light bulb was invented in 1879 by Thomas Alva Edison. When you turn on a light bulb only 10 per cent of the electricity used is turned into light, the other 90 per cent is wasted as heat. Low energy light bulbs last on average up to 12 times longer than traditional fluorescent bulbs. A heavy coat of dust can block up to half of the light. Greeks thought our sight came from something dashing out of the eyes and into objects. The first determination of "c" was made by a Danish astronomer using the motion of the moons of Jupiter. In glass light slows down a bit, bending its trajectory and allowing the making of lenses. Particles traveling faster than light IN A MEDIUM, release a form of luminous shock wave called Cerenkov radiation that we see as deep blue light. Different colors have slightly different speeds in water, making them bend in slightly different angles. That causes the rainbow when water droplets are in the atmosphere. Light from the Sun takes 8 minutes and 17 seconds to reach us, but inside the sun the energy takes millions of years to go from the center to the surface. Humans, just like apes and monkeys, have three color receptors that allow us to see all colors. Birds and other non-mammals have four color receptors which means they can see many more colors than we do. The Hubble telescope photographed several galaxies receding from us at speeds above the speed of light. When Maxwell developed the equations to describe Electricity and Magnetism, some solutions were waves with about the speed of light. That was later confirmed, and Optics became a part of his theory. The difference of the speed of light according to the density of a substance is responsible for ghost cities travelers see in the desert, and is the process that allows the manufacture of fiber optics. The entire look of your web site is magnificent, as smartly as the content! An outstanding share! I've just forwasrded this onto a co-worker who has been doing a little homework on this. for him... lol. So let me reword this.... Thank YOU ffor the meal! !